Payday Loans the Next Ponzi Subprime Debt Bubble to Implode? The Office of Fair Trading some several years behind the curve has finally announced an investigation into the aggressive debt collection practices of the largely unregulated payday loans industry that has mushroomed over the past 4 years to stand at over 240 providers, all competing against one another to increasingly lend money to those that cannot afford to repay the loans in what appears to be a classic Ponzi scheme-esk structure where loans are usually given to individuals without any background checks that are increasingly for the purpose of repaying loans taken out from other payday lenders, and then again and again which means that payday lenders are effectively paying one another resulting in what is a growing Ponzi pyramid primed for collapse. You all should know how this is going to end, for we have seen it all before with the US subprime crash that triggered the financial crisis of 2008, something that we have still yet to overcome. In fact Payday Loans is Subprime on speed, which means that when the Pay day loans Ponzi bubble bursts it will be in a far more spectacular style than the slow burn that was subprime crash that started to go belie-up in early 2007, taking a good 18 months to hit financial armageddon stage. Pay Day Loans - During the great recession many pay day loan outfits have sprung up that offer to fill the gap between each pay cheque with near instant small loans of upto £1000 that borrowers are further enticed to roll over into the next pay day. To be blunt, if you are considering these types of loans then you might as well put a gun to your head for all of the distress they will eventually cause you. Whilst the base rate is at 0.5%, pay day loan outfits are charging over 2,000% APR. These types of loans should be illegal in Britain but they are not, which just illustrates how inept the financial regulator is in allowing ordinary citizens to fall victim to 'legal' loan sharks. If the FSA had the best interests of the general public at heart then it would lobby the government to introduce legislation to CAP ALL interest rates at base rate plus 10%. Yes it would mean that the financially illiterate presently taking on extremely high risk loans would usually be denied loans due to the risk / reward factor, but that is how it should be. The stage is now set for the government to finally start to act to deal with these legalised loan sharks, and all it could take would be a relatively benign announcement to trigger the payday loan market collapse because the markets discount the future, they propel a trend into the stratosphere that is primed for collapse, just as is the case with every bubble. The collapse of the payday loans industry could take place over a matter of weeks or even days as the tulips that the payday loan companies are nurturing (borrowers) are realised to be seen as worthless as they will never be able to repay the debt, and then, suddenly the penny drops and all of the monies invested (loans) cease to exist ponzi style because the merry go around of cycling loans between providers comes to an abrupt end, just as during August 2007 the mortgage backed securities market froze on the realisation that the triple AAA MBS that the banks were invested in were worthless and so were the insurers who had insured the MBS against default. What Will be the Consequences of the PayDay Loans Ponzi Scheme Collapse? When the Ponzi scheme eventually does collapse then the fallout will be on the investors and lenders to the payday loan companies, just as with the subprime mortgages these investors and lenders will have been solely focused on the size of the ever expanding payday loan books, all without realising that the loan books were increasingly effectively comprised of monies used to repay other payday loan companies in an ever expanding debt pyramid, which is backed by no real assets, as those that tend to heavily borrow from payday loans have already exhausted every other avenue in terms of using up any collateral they had. My only hope is that the fools in Westminister do not throw billions more of tax payer monies in bailout cash at the banks many of whom will be found out to be heavily exposed to the payday lenders, just as after the subprime crash of 2008 the banks plowed headlong into peripheral Euro-zone government bonds, that a year or so later started to collapse thus triggering a further series of taxpayer funded bank bailouts. And as for the greatest ponzi scheme of all? Fiat currency, Subscribe to my always free newsletter to find out what the Quantum of Quantitative Easing means for the UK government debt printing ponzi scheme and its inflationary consequences. What is base rate anyways, its not the true natural market rate, but a bunch of poeple that have assumed all knowledge and set some rate that only serves their interests. You also say that the government must come save this situation, but wasn't it goverment that bailed out the last set of losers, so why call on them to save this. I once had to use their service and borrowed around £400 and paid about £15-£20 in interest for the week (this was a long time ago so guessing what I paid). I had no choice as I was short on rent and yes I knew that I was getting scammed, but they provided a service that I needed. As a FREE individual I made this choice. From my understanding this is how it works, more a week long type loan. If the loan is held any longer then the amount owed will soon be impossible to be repaid. Not being funny, but some of the poeple that are in this situation don't care, so if its impossible to pay it then they will simply write it off unless they mindful of the fact that they won't get a loan again, with no assets to their name nothing much the lender can do about it. Yes on paper the debts will add up because of the high interest, but take the inflation adjusted principle + REAL market interest rate away and the rest will all be BS on paper like the derivative instruments created by Goldman Sachs. The real problem is when these providers go broke and expect tax payer bailouts (THEFT - Socialism for Rich), there is no better regulation on this earth then failure itself. Also these so called poor defenceless poeple that need PROTECTING are not that useless, in my everyday life I talk to poeple that are VERY AWARE of these pay day providers yet we talk sometimes as if these poeple are walking zombies. Socialism for the rich is a far greater threat. I'm not saying the government should bail anyone out, quite the opposite. The government should regulate this industry that is largely unregulated, else tax payers will be forced to foot the bill again. The point I am trying to make as per the title is that the payday loans industry is a ponzi scheme, and all ponzi schemes eventually collapse. Interest rates of over 2000% per annum have no justification, they are purely loan sharking enterprises. Although I do agree that Socialism for the rich IS THEFT. Socialism in ALL its forms creates both zombie industries reliant on tax payer support and housing states full of zombies on benefits for life. This is NOT capitaism! This is a reciepe for perpetual econcomic depression towards an hyperinflationary collapse. There is no free lunch be it for the benefits culture, ponzi payday loans or the whole banking sector. There is a price to pay for printing debt or money and that price is inflation. You cannot just have over 8 million working age people sat idle and imagine there is no econcomic consquences. 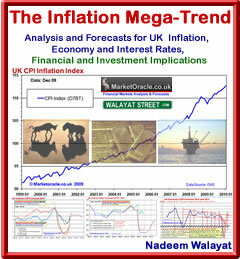 You cannot imagine stuffing the banks with £450 billion has no inflationary consquences. To be honest, we all know how difficult it is to make money nowadays that is why people do whatever it takes to feed their families. Our government has made everything the way that it is almost impossible to lead an honest life with a proper job (check out the rating of unemployment+ graduates that can’t find jobs and suffer at paying off their student loans debt). It is understandable. I doubt all those collectors simply enjoy making life of other miserable. They just make money. To be honest, I don’t know which is really the best here: being hungry with a low-paid job or being having job that brings you good income. Think…. Debt has ALWAYS been one of the primary mechanisms for turning people into slaves. The elite want everyone and everyhing to become debt slaves, to own nothing and work their whole lives for the debt noose that is around their necks, just look at the Euro-zone, instead of going bankrupt these countries are being forced to service debt they cannot afford. In my opinion payday loans is debt slavery on crack. No the debt slaves aren't the poor, but the taxpayer through force of government to bailout the rotten apples. Nadeem, you didn't answer my question, why when these payday operators and their backers face the impending failure of a clearly unsustainable model are they bailed out by us taxpayers. Money taken by force of goverment out of our pockets and given to these losers. Yet you focus on a free poeple capable of making their own choices both good & bad as the problem. The sub-prime, the focus is on the poor who couldn't afford the mortages and the cry is regulation to stop poor poeple getting loans. If the banks were allowed to fail, then this practice would have stopped dead in the tracks without any regulations. The truth is that they were not bailed out by tax payers. The money was printed, what the tax payers pay for are those that can work but choose not to work, as Romney said rather too honsetly, the 47%. Like I said earlier, paydayloans is like debt on crack, yes free people have a choice of whether to take crack cocaine or not, but just like paydayloans it will sooner rather than later destroy lives, families and whole communities. What we have with the banking bailout is socialism not capitalism and socialism in all its forms is destructive, unsustainable. Socialism will be the death of western civilisation. The only reason the West has got to where it stands today is due to competition, fierce competition, without which there is only stagnation and decline. So it is good, that China, is on the march, conquering the world econcomy, building air-craft carriers, because if all there were was the fat lazy west then we would all be doomed. We need competition, to feed the fire of innovation and progress, to kick the lazy west out of its socialist complacency. Ok so bailouts is socialism as you stated, so isn't the solution to stop the bailout socialism as opposed to regulations slapped on the poor borrowing at some fixed artificial rate (anchored to base rate) created by a very small group of men. You cannot get blood from a stone and the pockets of the poor are not deep and these payday operators will fail all on their own. When I mention taxpayers I merely over-simplyfy the category of victims of goverment ie theft by printing (my user name)... we all lose. We agree with the problems, but we differ in the solutions. Regulations should always be used cautiously, as clever and as well thought out your soltion is, you cannot forsee the unintended consequances. Regulations is oppressive, stopping somebody making a bad decision by force is not freedom at all. Yes, generally, the less regulation the better, but debt IS the problem. It is pure and simple slavery, for which payday loans is an extreme example of. Freedom and debt don't go together for Debt IS SLAVERY, and the system is designed to control (enslave) people via debt. Fight the Power! Be Debt Free!